It is important to understand the source of your child’s reading difficulties. Here we explain common reading problems by age group and solutions that can help. Many children know their letter sounds, but cannot recognize these sounds when sounding out words. What’s Going On: One of the most common causes of reading problems is a delay in phonemic awareness, the ability to break words into individual sounds in your head. For example, turning /cat/ not /c/ /a/ /t/. Blends such as /br/ or /bl/ are even more challenging as are similar sounding consonants like /mu|/ and /nu/. This skill requires strong language processing. What Gemm Can Do: Our research-based reading programs focus on the link between language processing and reading. We speed up processing in tiny incremental steps, effectively adding “pixels” to the sound clarity. This helps the young reader identify the sounds inside words, a foundation for decoding. Many struggling readers will skip words when reading, preferring instead to read the words they recognize first and fill in the unknown words later. Or if they can’t decode the word, they will guess. What’s Going On: Words are skipped or guessed because they are not recognized by a reader who is getting around a decoding problem by trying to memorize all words. This is an inefficient strategy that runs into trouble in 3rd, 4th and 5th grade as the word list expands dramatically. What Gemm Can Do: Your child needs to learn to read the way he/she listens, i.e., decoding every sound or letter as it comes. This requires sound processing skills that allow for automatic decoding at natural language speed. Many children frustrate their parents and teachers by failing to recognize the same word on the same or next page, within a minute of two of receiving help with the word earlier. What’s Going On: For the struggling early reader, text can look like it’s written in Russian. There are so many unrecognizable words that it is overwhelming. Also, retention requires context. If you tell your child a word, and he hears it the way you say he sees it written on the page, he will retain it. But more often than not, the text and spoken word are not a match and so it is not retained. What Gemm Can Do: By improving processing, we add “pixels” to the quality of sound. This makes it possible to hear accurately and reading more and more words. This leaves only the need to learn irregularly spelled words, a much more manageable task. No doubt, spelling rules, conventions and exceptions that take time to learn, However, spelling in the early grades is only a concern if your child struggles with regular, phonetic words. There is more at stake here than just spelling accuracy. Recognition of spelling patterns is a big part of how the brain reads. Spelling is a key decoding skill. What’s Going On: Poor spelling is most often indicative of poor phonics caused by weak phonological awareness. If phonetically regular words are a problem, then your child will have a hard time learning conventions and exceptions, since every word looks like a candidate for a rule. What Gemm Can Do: Our program works on phonological awareness to help make regular spelling natural, and has exercises that train rules, conventions and exceptions. 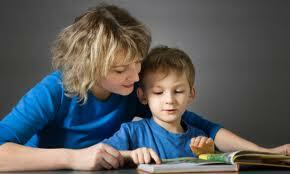 Many children with reading difficulties start to resist reading out loud to their parents. Furthermore, they become easily distracted in reading times in school. What’s Going On: Reading out loud is humiliating for struggling readers. They feel the pressure of parents and teachers. In addition, they see how easily their peers read, and so they feel frustration and shame that they cannot read. 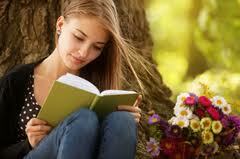 Consequently, they avoid the torture of reading wherever possible. What Gemm Can Do: This is one of the most common reading problems. Our primary goal is to make reading easy, more natural. If we can achieve that, young readers will be more willing readers and put in the reading practice required to acquire high level reading skills. Many programs, therapies and/or teachers have good reputations for helping reading. It is also true however, that despite this added help, reading scores in North America have remained stubbornly flat. What’s Going On: Most training works around the underlying language processing difficulty. Teachers and tutors create drills that work around these underlying delays, meaning the training is long and painful. What Gemm Can Do: Our elementary reading programs use neuroscience principles — frequency, intensity and shaping — to address the underlying impediments to reading. Being able to clearly identify syllables and blends makes all the difference. For many students, reading at grade level is not a good outcome. Based on IQ and/or performance in math and other subjects, they have the vocabulary and understanding to be reading well above grade level. This is the definition of a disability or glitch — under performance in one or more aspects of learning. What’s Going On: Many bright children have a processing delay that is holding back reading skills, impacting overall progress. This often causes frustration and behavioral issues. What Gemm Can Do: In most cases, improved processing can open the floodgates. Progress to grade level and beyond tends to unfold quickly. Natural smarts trapped in a flawed learning system is one of the best opportunities for our reading programs to make a dramatic difference. 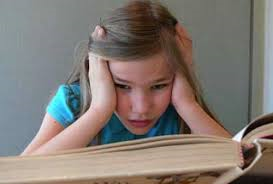 As children get older and learn how to sound out, the list of reading difficulties changes. The reading problems for 6th graders and older are not as apparent as not being able to sound words out. Nevertheless, they hamper academic growth every bit as much. Reading problems in younger children are widespread and somewhat to be expected because reading is a challenging skill to learn. However, reading problems in middle school or higher are more serious. They rise to the level of at least a moderate learning disability, difficulties that need immediate attention. Most students learn to decode by middle school, but they read slowly, which impacts homework efficiency and test taking. Slow reading also erodes interest in reading. What’s Going On: A deliberate decoding approach that requires concentration slows down reading speed. Similarly, an inability to comprehend and retain text can lead to a a constant need to re-read pages, another source of slow reading. Reading stamina is an important reading skill. Many children with reading problems can only read for a few minutes at a time. This makes it difficult to get through assigned material and the shortened periods cut down on reading practice. What’s Going On: A lack of reading stamina indicates reading inefficiency and/or poor reading comprehension. Inefficient decoding that takes effort and forces multi-tasking — decoding and deriving meaning — while reading is exhausting. Flawed reading comprehension makes text uninteresting or worse, unintelligible. Both represent the groundwork for a shorter reading session. What Gemm Can Do: By treating the underlying difficulty, our reading programs help make reading efficient and, with comprehension, more interesting and engaging. Many reading problems only surface in middle school, when more complicated content challenges reading skills. What’s Going On: Reading comprehension requires automaticity in decoding, so that the mind is completely available for comprehension. In later grades, comprehension requires an interactive, metacognitive reading approach, where a student is able to define main ideas and think critically about text. These skills do not develop in students with reading problems. What Gemm Can Do: Our early reading programs work on removing the underlying impediments to reading, the cognitive skill gaps. Meanwhile, the later programs use natural learning science to train and accelerate reading comprehension with metacognition. Many students do not enjoy reading for any reason — text books, assigned texts, novels, newspapers, and magazines. What’s Going On: While some students are just not interested in reading, it is also true that it is human nature to avoid doing things you are not good at, especially reading when extracting meaning from the text is such a chore. If you are not a good reader, it is natural to avoid it. What Gemm Can Do: Reading enjoyment is of course one of the holy grails of reading programs that purport to resolve reading problems. It is a challenging goal for high school programs as it often requires turning around an aversion to reading that has developed over several years. Our strategy is to make reading easier, more enjoyable. From there, it is up to the student to recognize the improvements and run with it. Gemm Learning uses Fast ForWord and Reading Assistant, reading software programs. Our protocols target the most common causes of reading problems with solutions that adapt to each child’s individual needs. Students work online with remote guidance and support for Gemm Learning professionals.